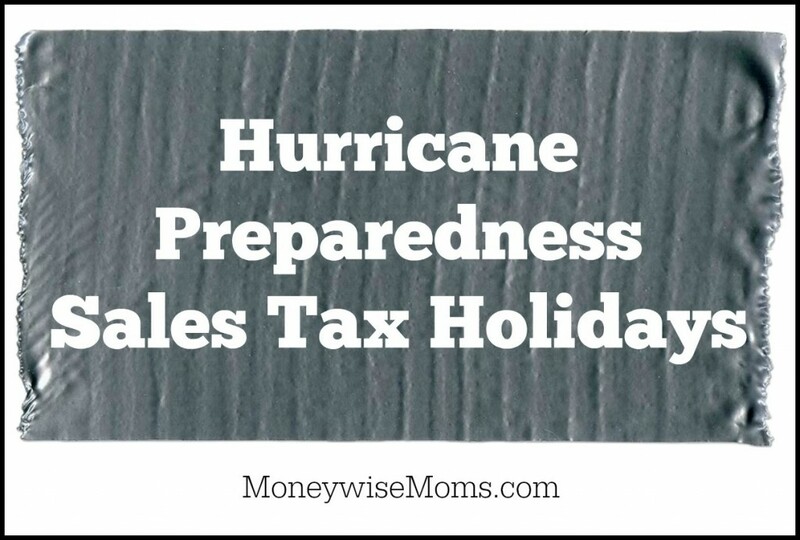 Beginning next week, save some money with Hurricane Preparedness Sales Tax Holidays in Virginia and Louisiana. Florida often holds this event as well, but it has not been announced for 2015 yet. Even if you do not need emergency equipment like a generator, this is a good time to update your home with some basic safety items like fire extinguishers and smoke detectors. You can also use this opportunity to stock up on batteries or bottled water for the rest of the year. Virginia’s sales tax holiday runs all week, May 25-31st, while Louisiana’s tax holiday is next weekend, May 30th-31st. It’s a good idea to have some emergency supplies on hand, no matter where you live, even if they’re not specifically for hurricane preparedness. FEMA’s list of basic emergency kit supplies is a great place to start. I also like this Disaster Checklist for Parents. If you like to bulk cook like I do, it also helps to know how to prepare your freezer for a power outage.